There is no better gift you can give to your children than traveling together as a family. When you travel with your children, whether they are still playing in the sandbox, braving the high school hallways, moving out for their first year of college, or walking across the stage to get their college diploma, travel not only creates lifelong memories and family bonds, but it helps your children grow into well-rounded, confident, open-minded and brave individuals. Accomplishing feats like mountain biking through the Andes, or jumping into the water alongside a stingray, creates a sense of confidence and courage that will follow them into their adulthood. Spending the day with an indigenous community, learning about a different way of life, or connecting with the local guide, will leave them not only with a greater understanding of the world, but a greater sense of compassion, respect, and even appreciation for their own life. 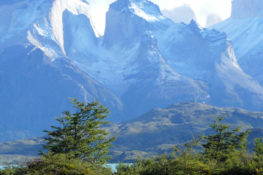 South America is the ideal location for your next family vacation. Together you can discover the lost ruins of Machu Picchu, fish for piranha in the Amazon, mountain bike past ancient archeological sites, snorkel alongside sea turtles, sea lions, sharks and other unique Galapagos wildlife, search for treasures in a traditional market, kayak amongst ice glaciers, mountain bike in Patagonia and horseback ride with Gauchos. We know travel can get expensive for families, so Knowmad is offering a special discount for families and groups. Book any trip for four travelers or more from now until the end of November 2017 and we’ll give you $100 off per person (see terms and conditions below)*. This is the perfect opportunity to plan that Spring Break vacation you’ve been meaning to lock down, or your family’s summer getaway! This offer only lasts through the end of November, so give a Trip Specialist a call today at 612-315-2894 to start the planning process. Here are some of our favorite family vacations in South America! 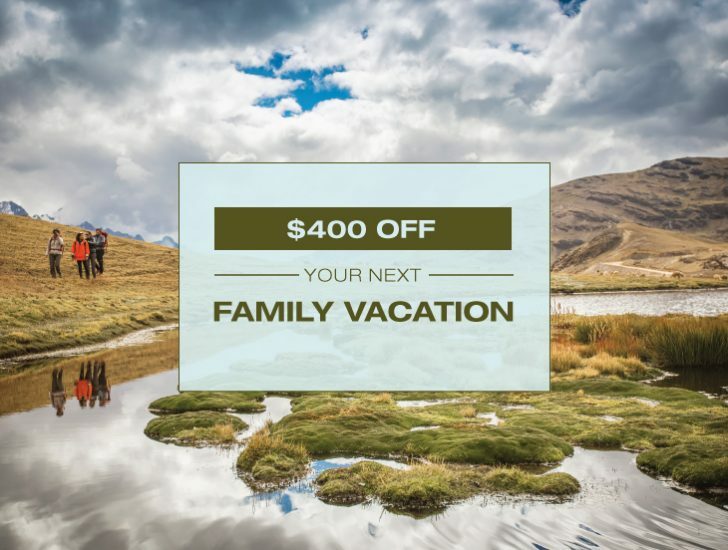 If you would like to take a family trip to South America for a full week or more, and stay within a tighter budget, Peru could be the perfect fit for you. This country is packed full of opportunities for adventure, personal growth and family bonding, all while being one of the most budget-friendly countries in the continent. 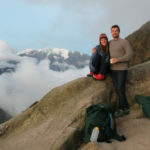 Check out one of our favorite family trips, the Amazon to Andes Odyssey itinerary. This trip features everything from a day hike on the famed Inca Trail leading into Machu Picchu, horseback riding through colonial villages and time with a traditional indigenous community. This Peru trip also includes a stay at a truly incredible eco-lodge in the Amazon Jungle with opportunities for the little ones to fish for piranha, explore a canopy walkway and spot caiman, giant river otters, monkeys, and much more! If your kids are older, or if you’re looking for something even more active, try mixing in some elements from Peru Active Explorer like mountain biking, or even a day of white water rafting the Urubamba River. The possibilities in Peru are endless, and Knowmad is an expert at creating itineraries that fit you and your family’s travel style, budget and each member’s “wish list” perfectly. There is nothing kids love more than spending time outdoors. Combine days of snorkeling and playing alongside wildlife (that has little to no fear of humans) with nights stargazing as a family, mainland Ecuador glacier hiking, exploring the colonial streets of Quito and looking for souvenirs at a traditional indigenous market, and you get a child’s dream vacation. 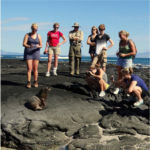 There are a variety of Galapagos cruise options that fit a wide range of budgets, durations and dates, so don’t hesitate to give Knowmad a call to find the perfect Galapagos cruise for you (only a few of the boats we work with are featured online) and your family. Before or after your cruise consider adding some days in the colonial cities of Cuenca and Quito, or some time to explore the haciendas and markets of the north. 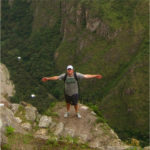 You could even add a trip to the Ecuadorian Amazon or the cloud forest. Imagine telling your family you’re taking them to the edge of the world, literally! Southern Patagonia is the final frontier of the Americas with epic landscapes, giant glaciers, towering mountains, remote towns and islands inhabited by penguin colonies. Not the right place to bring the kids? Think again. Torres del Paine National Park is host to some of the world’s best all-inclusive luxury adventure lodges, a perfect fit for families with active children, teens and beyond. The lodges have amenities like, world-class chefs, outdoor hot tubs, swimming pools, spa treatments and all-inclusive alcohol/food, while at the same time allowing you to choose from half-day or full-day guided adventures. 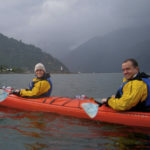 These excursions include off road drives, trail & glacier hikes, kayaking, horseback riding, mountain biking, boat rides and photographic safaris. These lodges will immerse your family in remote wild lands, gaining a greater appreciation for nature, while still providing opportunities to relax in comfort and truly “get away.” Your days are flexible as you can choose your activities as you go. Mom and Dad can relax by the pool while the kids go on a horseback ride or the whole family can kayak amongst towering glaciers before coming back for a well-needed soak in the hot tub. 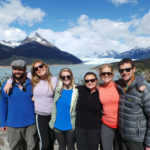 The Explora Patagonia Lodge Trip is one of our favorite adventure itineraries with Explora inhabiting a prime location in Torres del Paine National Park. Knowmad offers discounted pricing on Explora packages. Be sure to ask us about our special Expora Patagonia family plan pricing as well. In our opinion, traveling as a family is the most important thing you can do together, so give us a call today at 612-315-2894, e-mail travel@knowmadadventures.com or fill out a Design Your Trip form to start planning your family trip of a lifetime. Remember, families and groups of four or more will receive $100 off per person (for first 4 travelers) from now until the end of November 2017, so start the custom trip planning process with Knowmad today!